Gastric cancer was overtaken by lung cancer as the leading cause of cancer-related death in Japan in 1999. In 2007, it still accounted for 50,597 deaths (15 % of all deaths from cancer) . The proportion of gastric cancers that are detected early through screening measures is now around 60 % in Japan. These patients require limited surveillance after primary treatment. A large proportion of patients still present with nonresectable tumors at the time of surgery. 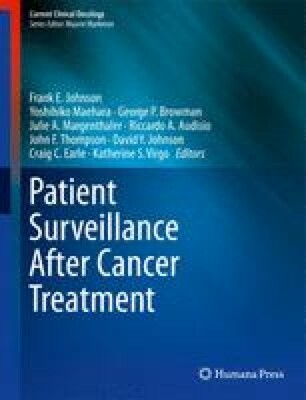 Those with advanced tumors resected with curative intent are the target of close follow-up.